I am finally getting around to one of my most asked about bourbons. As soon as I mention to someone that I write a bourbon blog, it seems inevitable that I will be asked what I think of Trader Joe’s bourbon. For those of you not living in one of the nine states where Trader Joe’s exists, it is a chain of eclectic grocery stores that specialize in off-the-beaten-path foods that is now dabbling in the wonderful world of whisk(e)y. The draw of Trader Joe’s bourbon is obvious (it is $15 per bottle), but the question is whether or not we are drinking a good value bourbon or distilled shoe polish. As Jeff Foxworthy once said, “You would go for the cheapest Lasik surgery in town or the cheapest vasectomy in town, so maybe cheap isn’t always good.” That said, Trader Joe’s is sourced from Buffalo Trace/Sazerac, as it is distilled at the 1792 Barton Distillery (where 1792 Ridgemont Reserve is distilled, for example). Trader Joe’s is bottled at 90 proof (45% abv) and sold exclusively in Trader Joe’s outlets. For me, the nose is the best part of Trader Joe’s bourbon. There are notes of clove, caramel, oak, burnt pine, and mint leaves. The palate leaves quite a bit to be desired, though. It tastes like bourbon, for sure, but it is mostly soft caramel and corn, with very little complexity or depth of flavor. As the whiskey moves towards the finish, there is an unpleasant lemony note that I find off-putting. In some whiskeys, some tart citrus works really well, but rarely in bourbon. 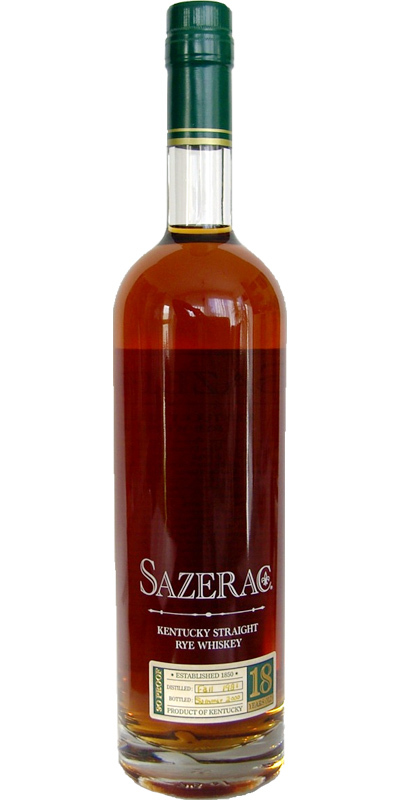 The finish is short to medium in its length, and has traditional bourbon notes of caramel and sweet corn, with a slight twinge of oak. Overall, I was disappointed in Trader Joe’s bourbon. 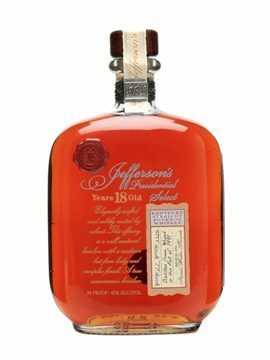 It is certainly what you might expect from a young bourbon, but there is very little going on with it, and that makes it a hard whiskey to get behind. Of course, if you need a bourbon for cocktail night, this one has the price tag to fit that bill, especially if craft cocktails aren’t your thing. My grade: D+. Price: $15-20/750ml. If the price point looks like it might be your thing (and you love wearing Hawaiian shirts), don’t hesitate to give this one a try and let it ride! After a brief departure into the world of Islay Scotch with my reviews, I am returning to bourbon this evening with a review of one of the coolest looking bottles on the market today – Rock Hill Farms Single Barrel Bourbon. 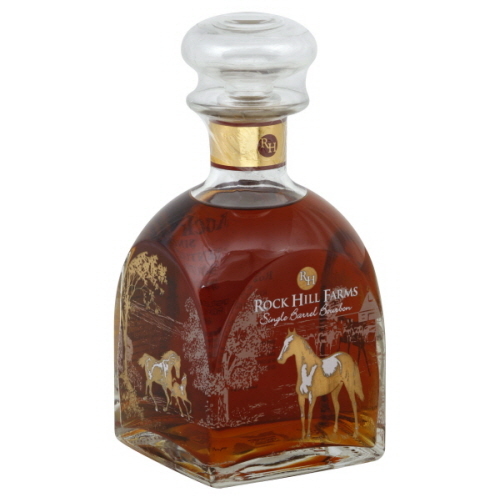 Rock Hill Farms is a bourbon bottled from a single bottle from Buffalo Trace. There is very little information about this bourbon on the bottle, no age statement or any information on the barrel. It is bottled at 100 proof, but that is all that Buffalo Trace tells us about this one (I’ve heard that it is made from the same mash bill as Blanton’s, but just aged elsewhere in Buffalo Trace’s warehouses). On the nose, Rock Hill Farms is wonderfully enticing. The traditional notes of sweet corn and caramel are present, but there are some interesting notes, too. Sweet cocoa dust, wood shavings, and some white chocolate all emerge. It is definitely a “spicy” bourbon. The palate is full bodied, with some nutty notes (almonds, candied pecans), vanilla, corn, oak, and bitter dark chocolate. The finish is medium-long, with some spices staying around nicely. The cocoa dust is there with some oak and candied pecans. Overall, this is a very tasty bourbon, one that is both traditional and unique. It is a pure pleasure to drink, even though it feels disjointed at some places. It is a little rough around the edges, but also refined. It is a hard bourbon to put my finger on and describe, which probably means that it is doing something right. My grade: B+/B. Price: $45-50/750ml. This is a great bourbon to have in the cabinet because it tastes great, and it looks pretty awesome in any collection. However, there are bourbons that I prefer at $50 a bottle. The nose of Old Weller Antique is tight, revealing very little depth. The alcohol and the wheated recipe mask a lot of the scents that are traditionally associated with bourbon. What does come through are notes of butterscotch, toffee, and wet oak. This bourbon picks up on the palate. Old Weller Antique has a viscous mouth feel that yields notes of sweet oak, caramel, vanilla, candied almonds, and honey roasted peanuts. It is very sweet and rich, but it has very few layers. The finish is long and warming, but it is simple. It is sweet and dark, as if somebody was pouring melted caramel and toffee fudge down my throat. On the whole, this is a classic wheated bourbon. It is sweet, and not overly complex. It is exactly what a wheated bourbon should be, with a more powerful palate than Maker’s Mark or Rebel Reserve, which are in a similar price range. 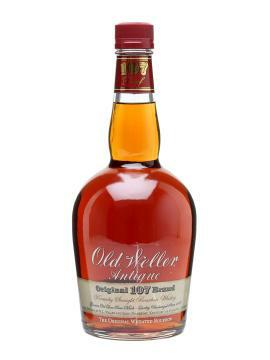 Old Weller Antique is to wheated bourbons what Old Grand-Dad Bonded is to rye bourbons. It is exactly what it should be, and not much more. My grade: C+/B-. Price: $20-25/750ml. This is good whiskey, not much of a mixer, though. If you like wheated bourbons, its worth a try.